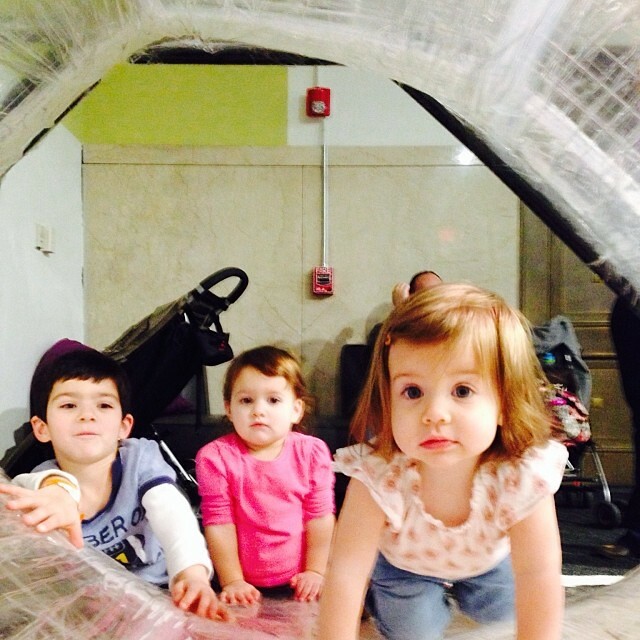 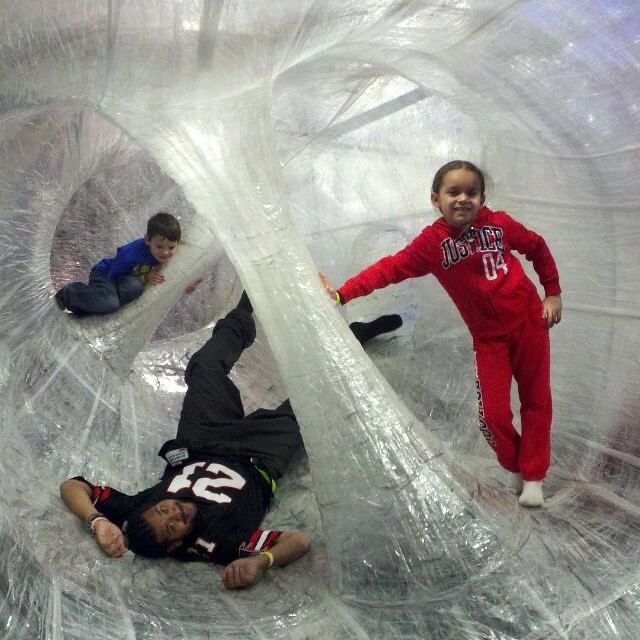 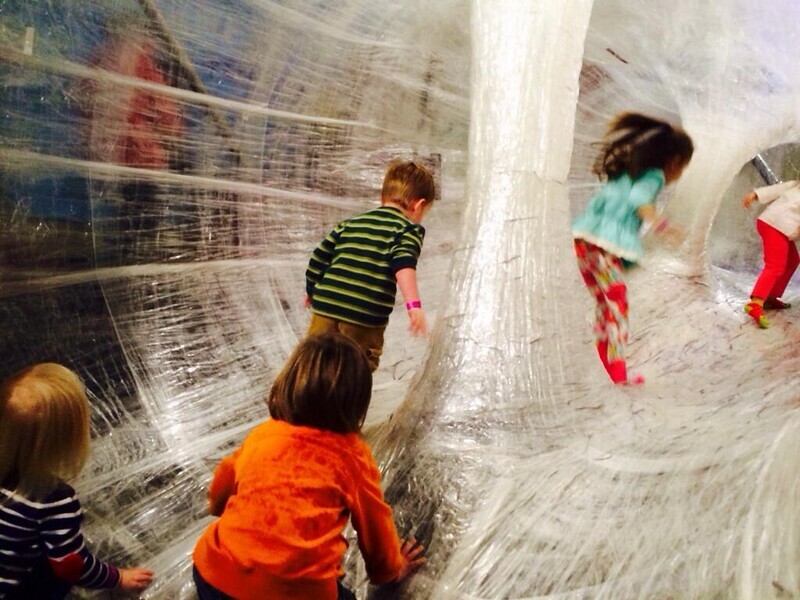 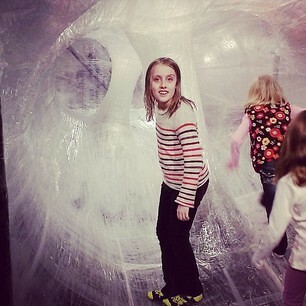 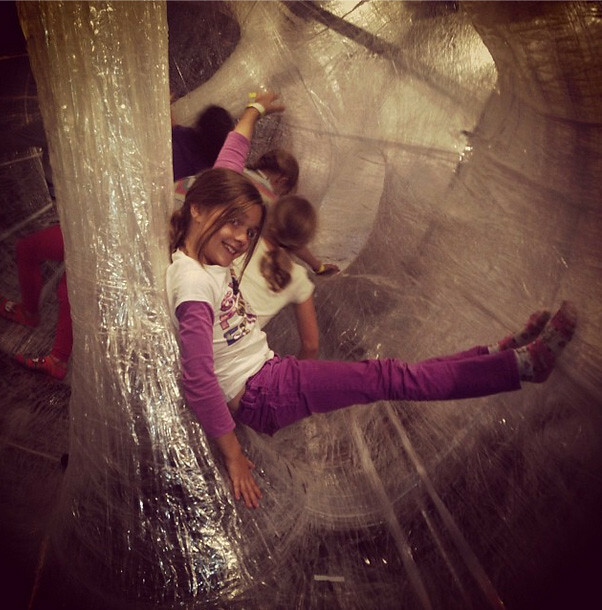 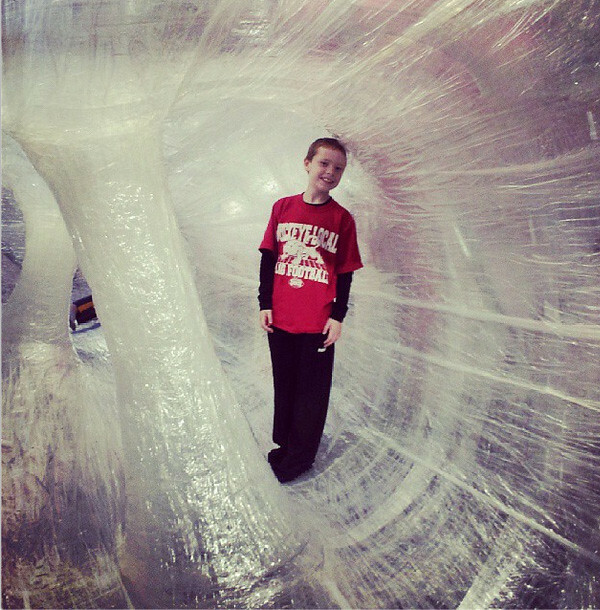 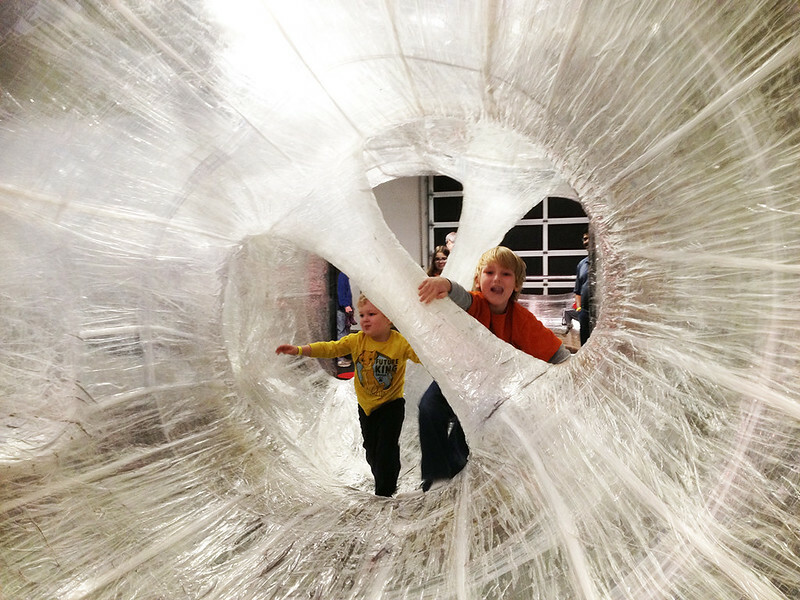 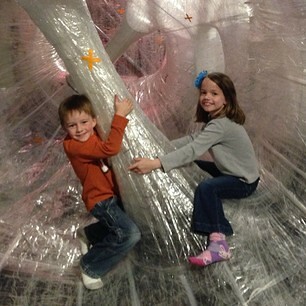 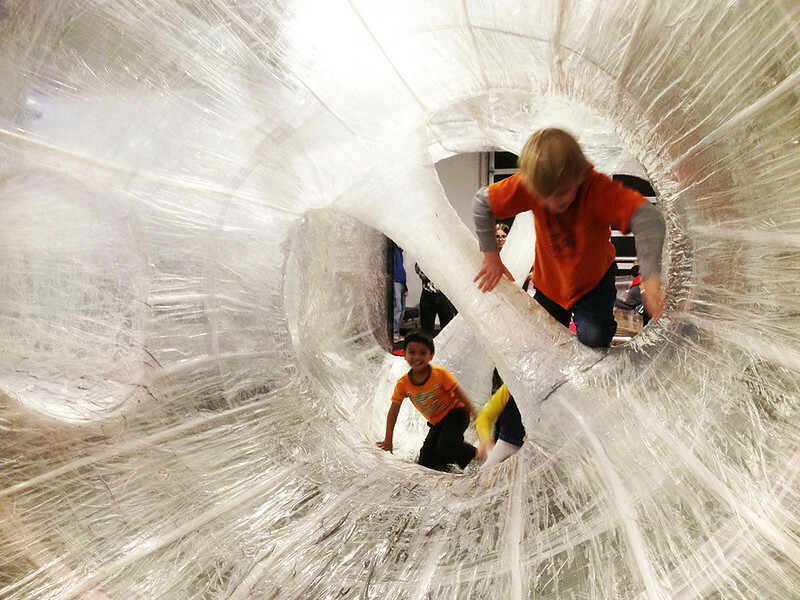 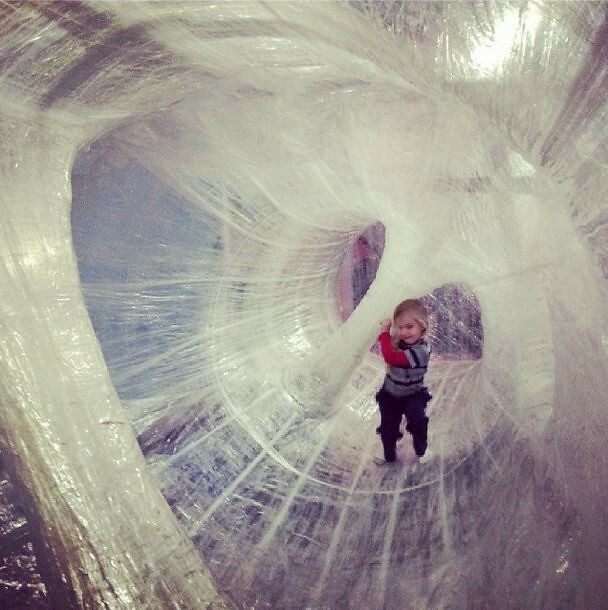 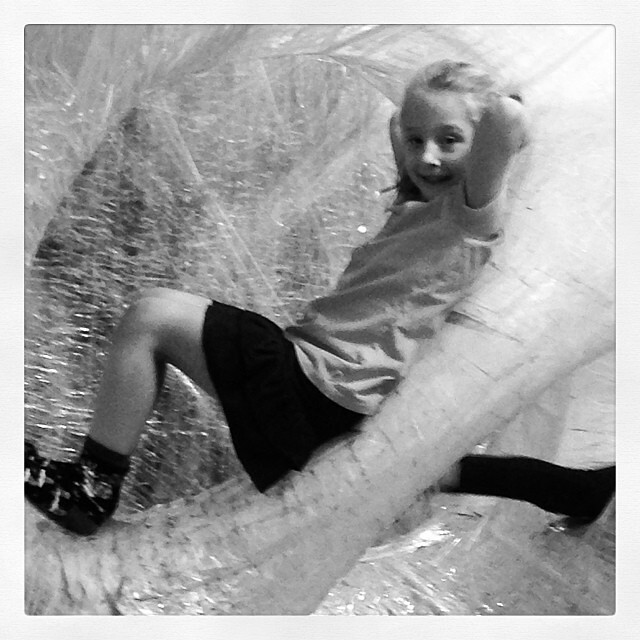 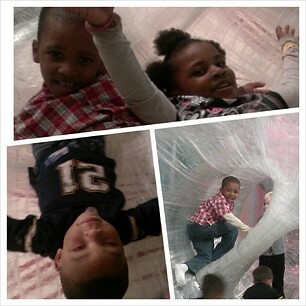 The Children's Museum introduces Tapescape 3.0, an indoor climbing, sliding, rolling landscape made of more than 50 miles of packing tape stretched over a two-story steel frame, designed by creator Eric Lennartson. 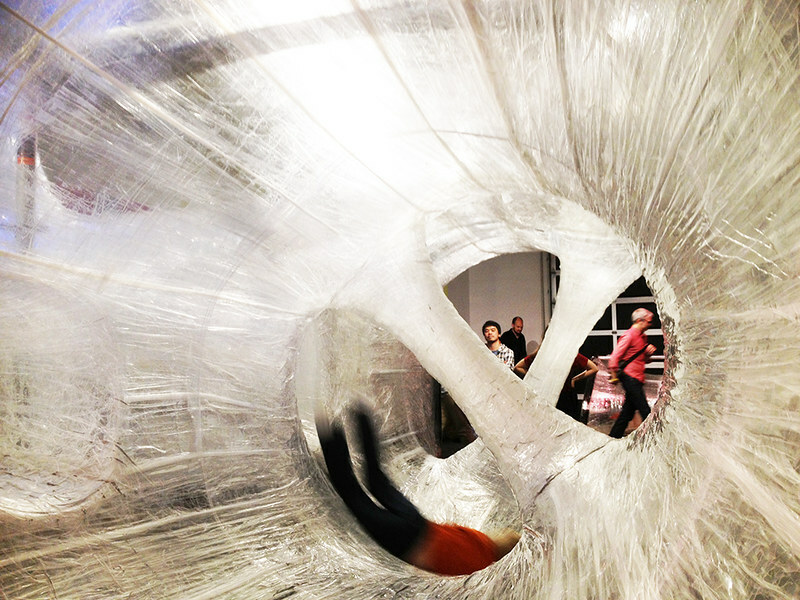 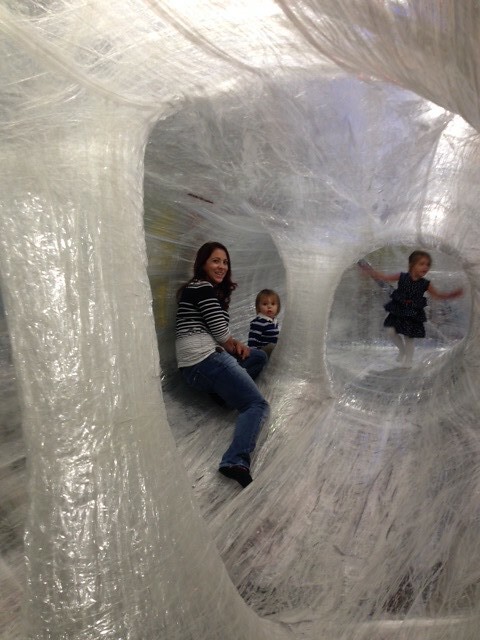 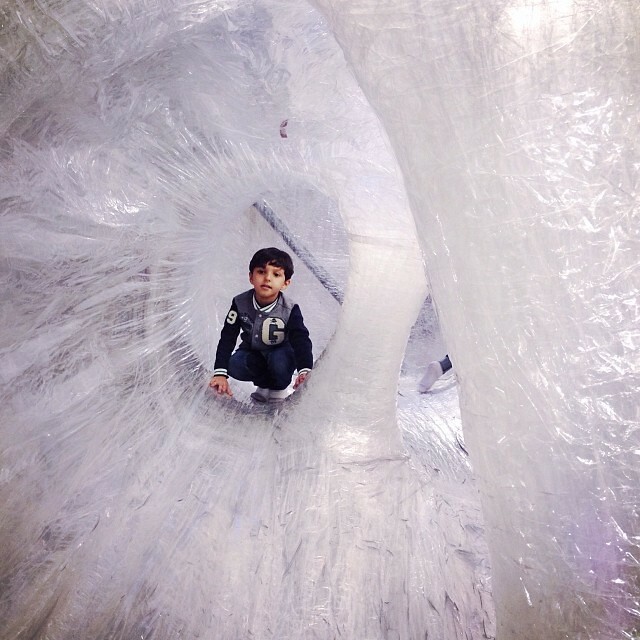 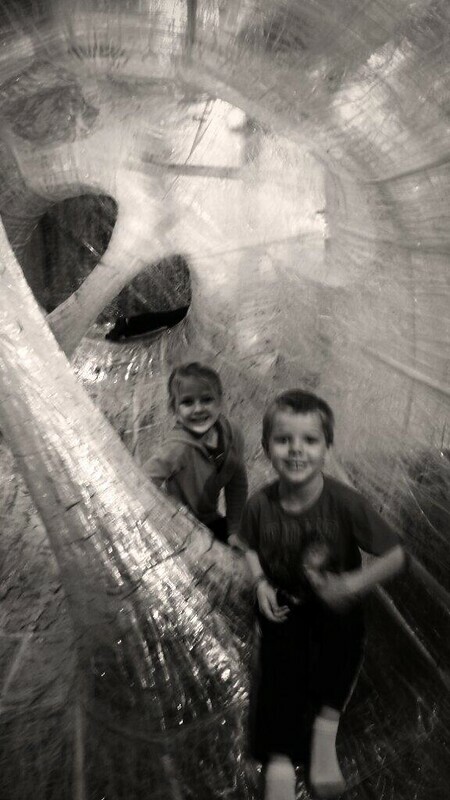 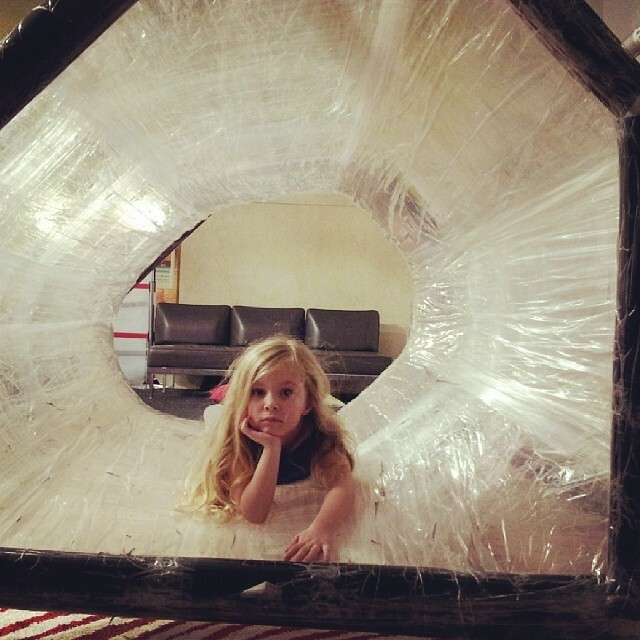 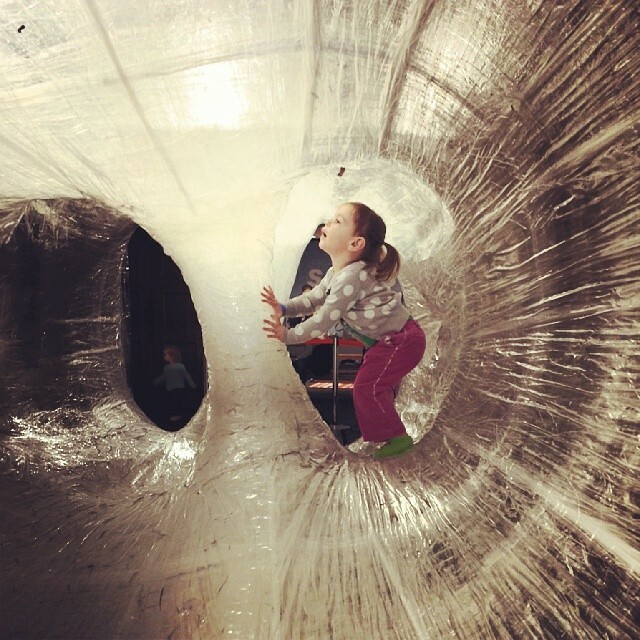 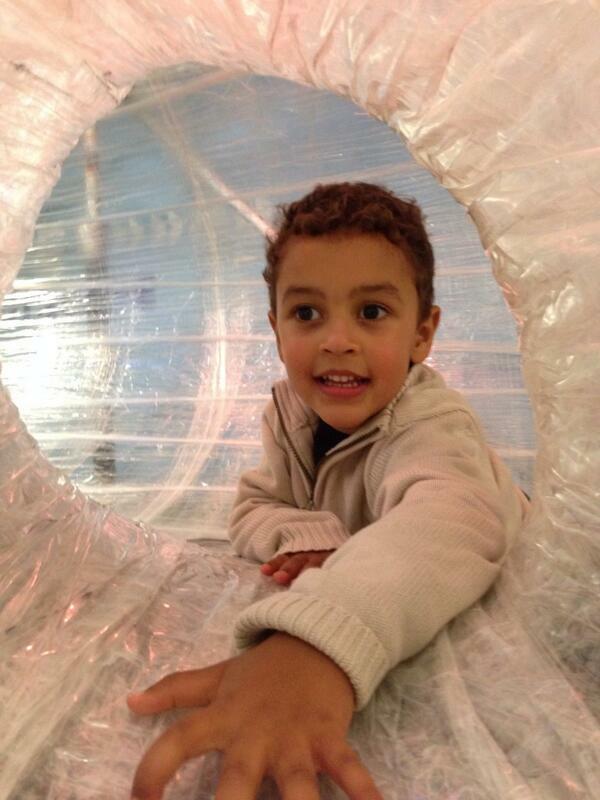 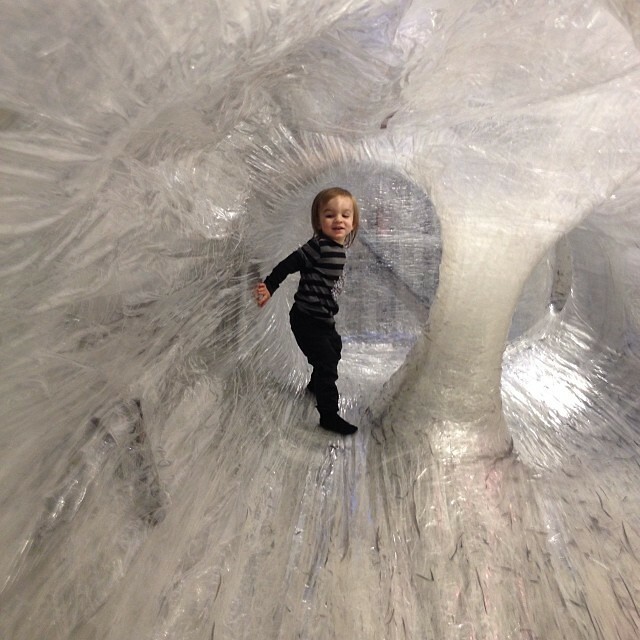 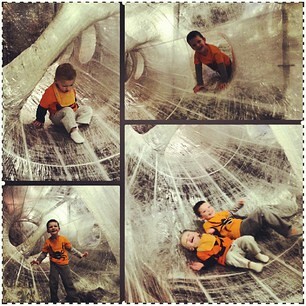 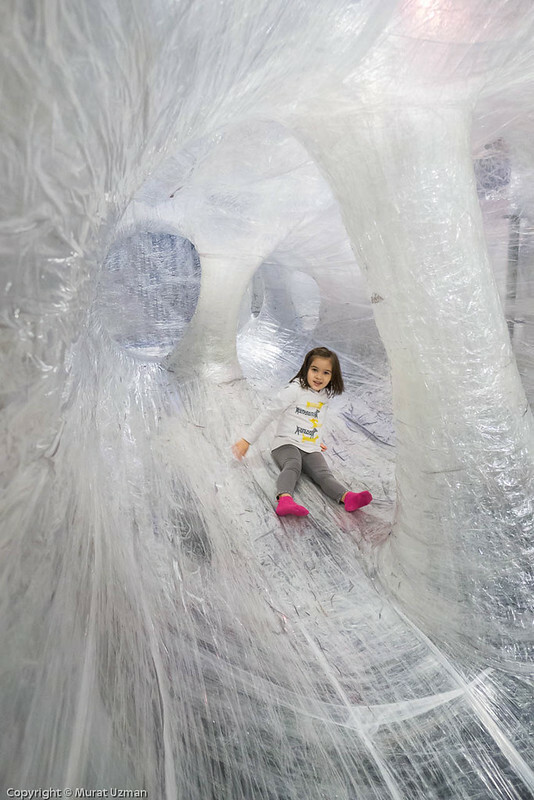 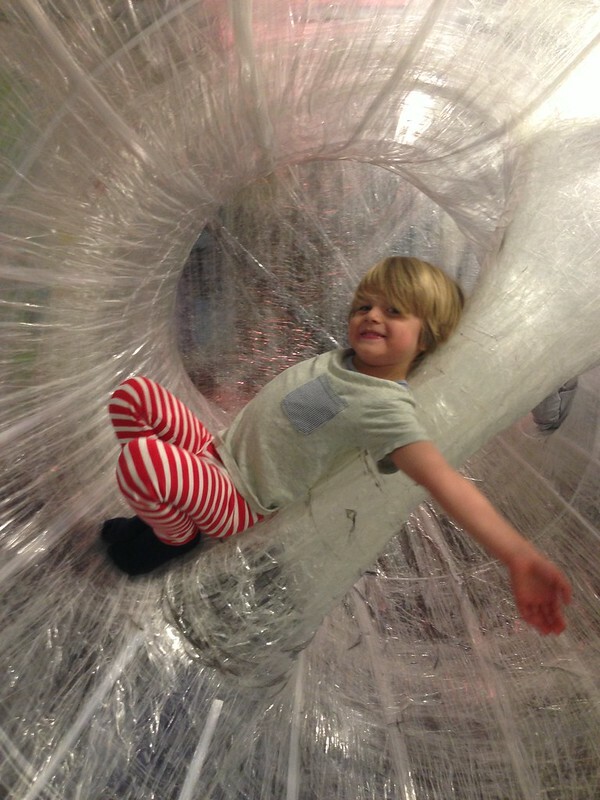 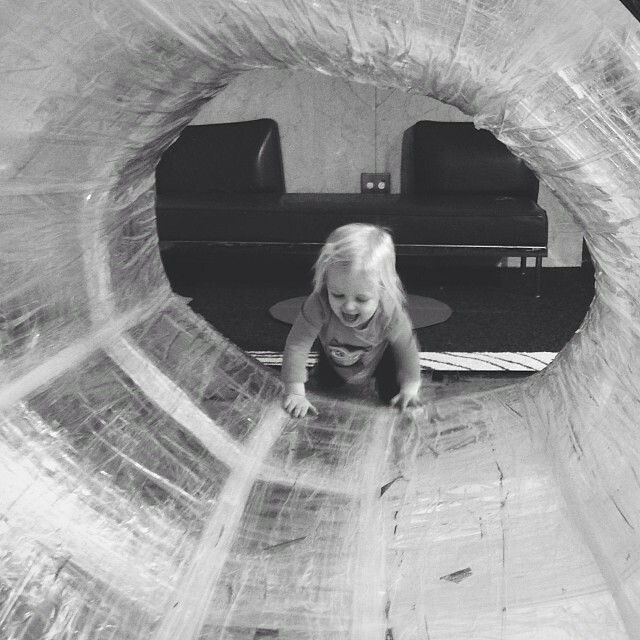 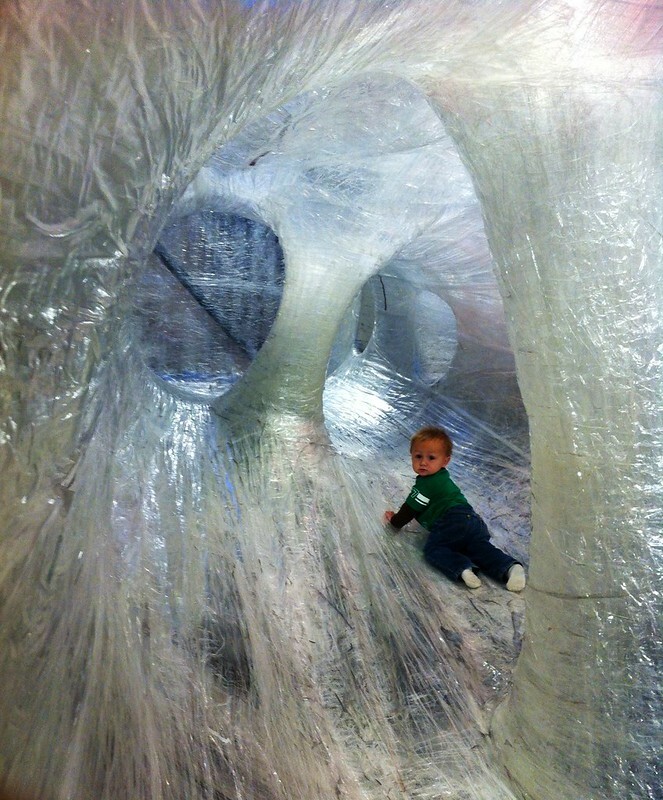 Explore and crawl through the twisting tunnels and curving walls of this art installation and play area that offers such an unexpected and delightful use of a common material. 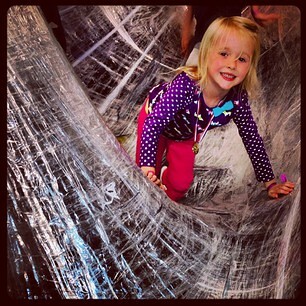 This time we're building Tapescape in the Garage, where we can create several levels of climbing terrain. 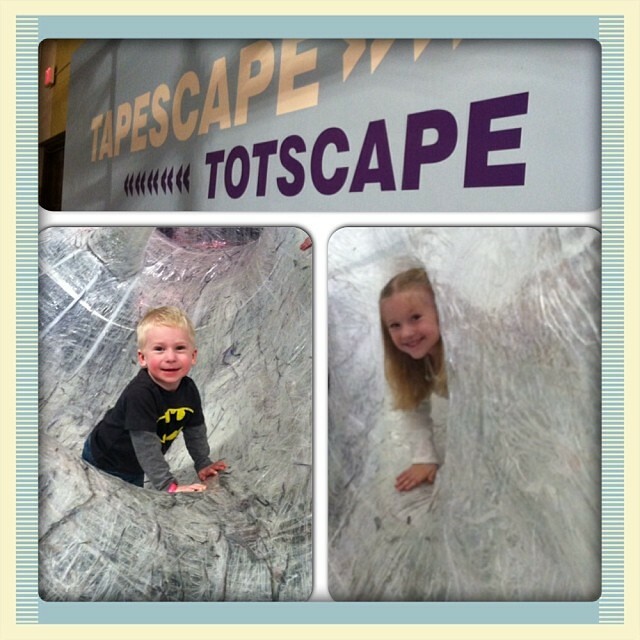 Tapescape includes TotScape, a smaller, free-standing section for smaller children. 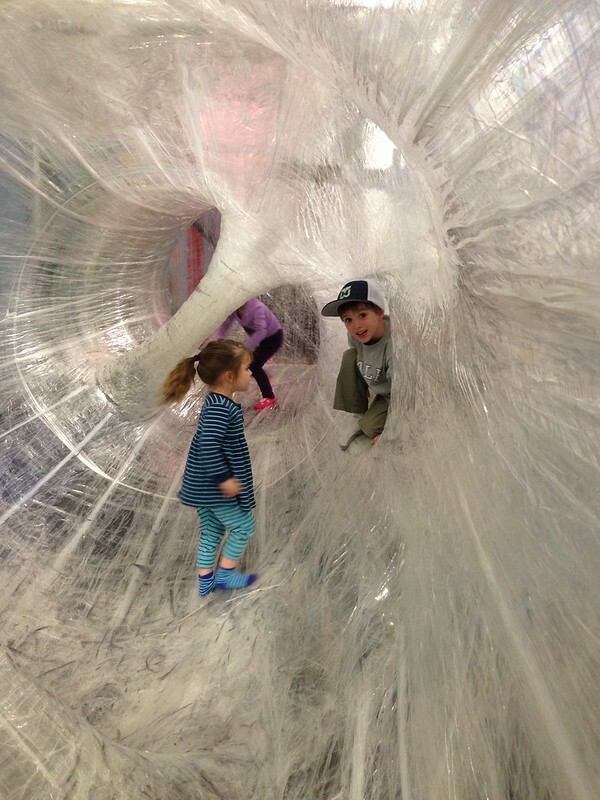 Visiting TapeScape with small children is recommended for days with light field trip groups, weekday afternoons and weekends.